Do your kids brush their teeth twice a day, every day? Do you have to ask them to do it, bribe them or otherwise physically hold them down and brush their teeth yourself? I kind of think it’s normal for kids to try to get out of brushing every day. Just getting my kids to brush once a day is *ahem* like pulling teeth. Scuze, me. I just couldn’t help it. But seriously, they suddenly get a case of the wigglies and decide to play hide and seek. Or tell me they don’t feel good. Or whatever. It makes bedtime a chore. 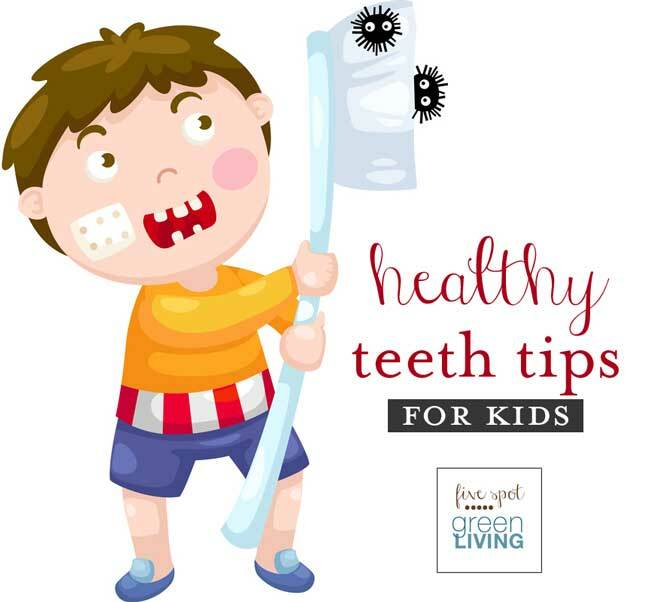 Usually telling the kids that they need to brush out the sugar bugs in their teeth is enough to get them calmed down and come in and actually do it. I can’t tell you they actually brush for long enough, but they do it because they don’t want those nasty sugar bugs eating up their teeth! How else will they eat the candy and pizza and chew gum? It’s a good thing it’s National Children’s Dental Month. I think we can all use a reminder of these healthy teeth tips! As part of Mom It Forward Blogger Network, Trident is compensating me for sharing this information with you and passionate about educating the public about oral health. Brush 2Min (2X) – It’s best for kids to brush their teeth for 2 minutes, 2 times a day for healthier teeth, good breath and fewer cavities. Children 2 or older should always use fluoride toothpaste. Visit a Dentist – Kids and parents should visit a dentist regularly starting no later than age 1. Floss – Kids should clean between their teeth once a day with floss to remove plaque and food where a brush can’t reach. Children as young as 2 can floss if their teeth are touching. Fluoride – Fluoride is nature’s cavity fighter and can occur naturally in some water and food sources. Did you know that to help protect teeth from cavities fluoride is added to dental products like toothpaste? Chew Sugar-Free Gum – Chewing sugar-free gum, like Trident, helps keep teeth clean after eating and between brushing. In fact, chewing Trident sugar-free gum after eating stimulates saliva flow, which helps reduce the risk of cavities by reducing plaque acids, removing debris and strengthening teeth. *The Partnership for Healthy Mouths, Healthy Lives is a coalition of 36 leading organizations in the field of oral health. Trident gum, the first national sugar-free gum in the US, is a one of the leading sugar-free gums offering benefits to consumers who are concerned about their oral care. 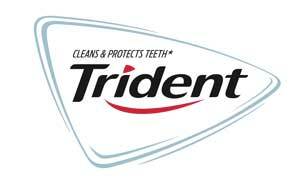 In fact, Trident sugar-free gum has been helping Americans maintain good oral health hygiene for 50 years! Trident sugar-free gum offers oral care benefits for when life keeps you on the move, and it has been shown to help fight cavities. Choose Trident for your sugar-free gum! This year, Trident is celebrating their 10-year partnership with Oral Health America’s Smiles Across America program (SAA), which provides oral disease prevention services for at-risk children who are underserved due to issues of poverty. In 2004, Trident provided funding to launch SAA, and to-date has donated more than $2.5 million to support the program, which has impacted more than 2,000,000 children. For an even happier smile, try a variety of delicious Trident flavors including: Original, Spearmint, Tropical Twist and Bubble Gum. 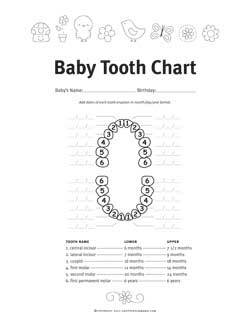 Don’t forget to download your baby tooth chart! Most parents are having a hard time judging how much dental care their kids need, they needed their kids to avoid cavities but they don’t know the best way to do so. It’s a good thing that there is a month focus on keeping the children’s teeth healthy and raising awareness about the importance of oral health. By helping and guiding our children to properly care of their teeth, we are starting habits that will last through their adulthood. Thanks for the quick tips. We always make sure the first visit to the dentist for both parent and child is gentle, fun and welcoming for all. This way we can prevent the long term stigma that dentists are evil and that teeth protection is vital for children’s health. Thanks for promoting child dental care. I had no idea children as young as 2 could floss. I bet there are kids out there who floss more than I do! Thanks for sharing these tips! Thank you so much for sharing this informative post.It is important to make sure that the kids brush their teeth properly. Knowing how to brush properly using the right technique help kids develop good oral health habits from their early stages itself. However, describing the proper technique of brushing need not be complicated for parents. Instead, they can use simple steps to explain how to hold the brush and its movements for kids to make a good start.Once again thank you for sharing this post. Keep Sharing.